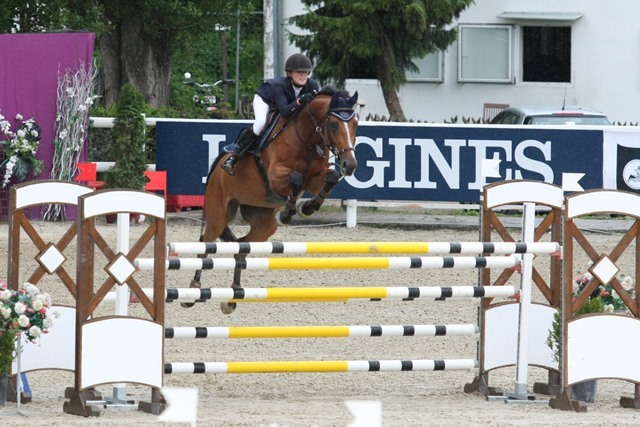 Success for Beezie and Sarah at Linz CSI**/CSIO*** in Austria! After 1 year competing abroad in Europe with Team Yalambi, Sarah returned to where it all began last year in Linz, Austria. This time she took her 8yr old Mare, Beezie, for the three weeks of jumping. Highlights of the second CSI** at Linz included 13th place in Friday’s and 12th place in Sunday’s Silver Tour classes. For the CSIO*** Sarah and Beezie jumped in the European Youngster classes offered to riders under 25 years. The classes encouraged progression throughout the weekend, with Thursday’s Table C set at 1.35m, Saturday’s A2 set at 1.40m and Sunday’s Jump-off class at 1.45m. The pair jumped a super round in Sunday’s European Youngster Cup to finish 10th. Sarah and Beezie will train with Alison Rowland at their base (Stall Boeckmann) in Lastrup, Germany for a few weeks before heading to their next international show.